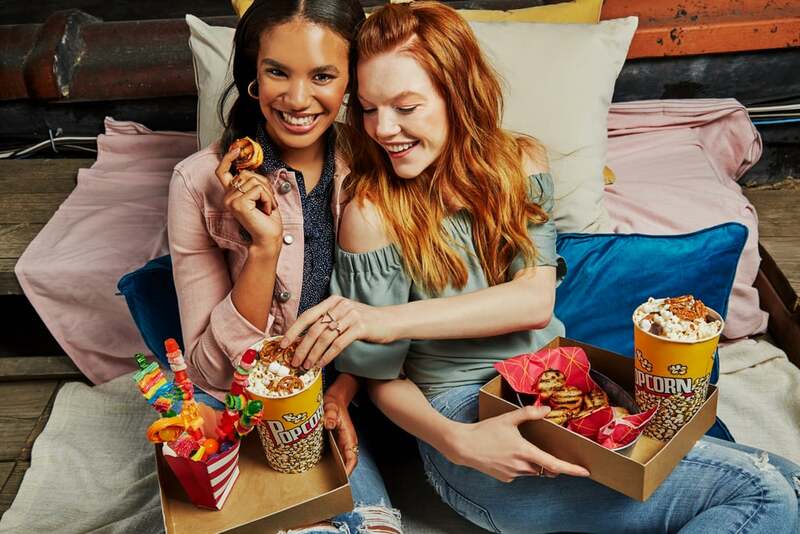 You can't go wrong hosting a movie night, but how about a next-level evening your guests will talk about for years to come? 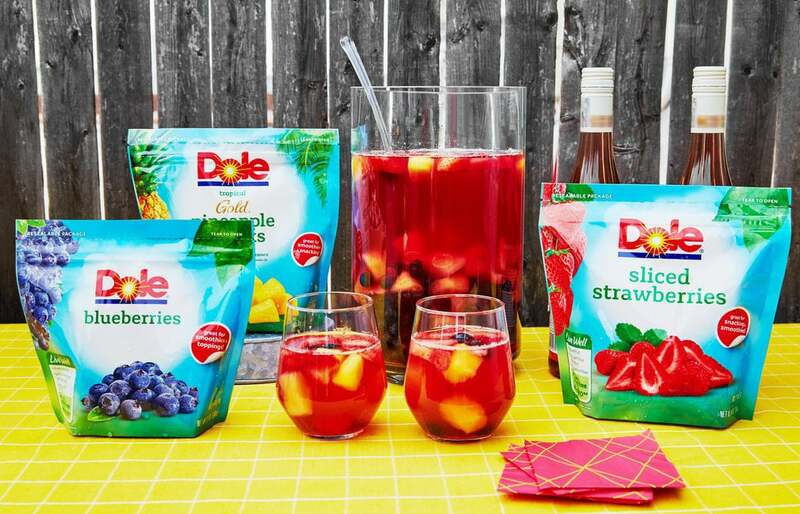 We partnered with DOLE® Frozen Fruit to make sure your next movie night is anything but ordinary! This Summer, bring the festivities into your backyard for a larger-than-life experience. (No yard? No problem. You can push your couch to the side and create a similar effect indoors using our tips.) A festive movie night with carefully curated props and tempting refreshments that provide an unexpected twist on adored classics will elevate a run-of-the-mill gathering to an exciting event your crew will be begging you to host annually. Here we'll share how to send clever invitations that set the mood, gather decor items right on theme, and assemble tasty Summer treats. Oh, and did we mention there are games and prizes to be won at your movie night under the stars? Follow these steps to ensure your movie night is the hottest ticket in town. Planning a memorable movie night all starts with crafting the proper invite to get your guests excited. Go digital and request that along with their RSVP, everyone fill out a ballot questionnaire to narrow down the evening's film by popular demand. In addition, ask each guest to think of a favorite movie quote. This will come in handy later. 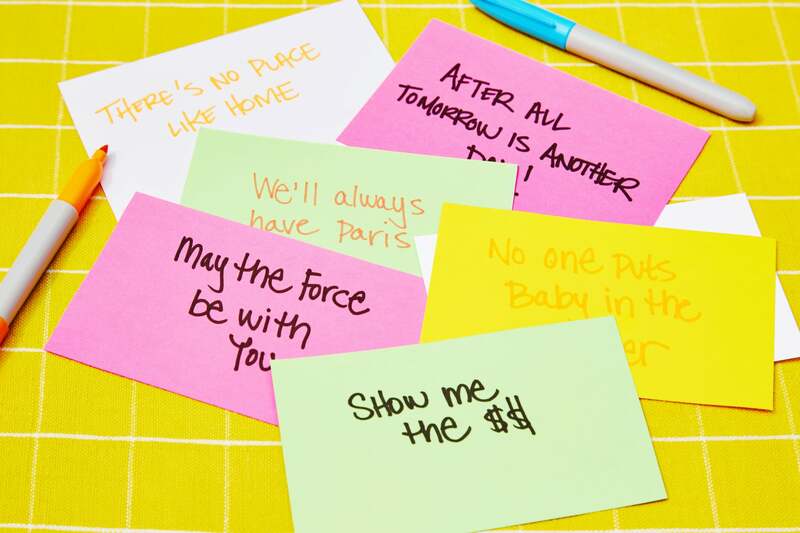 On the big night, have your guests write their quote on note cards. Use them throughout the evening as a trivia game to guess whose is whose. Treat the trivia winner to a pair of free movie tickets! TIP: Ask all guests to send in their favorite movie or movie quote beforehand, and then during the night, everyone has to guess whose is whose. Winner gets a pair of movie tickets! 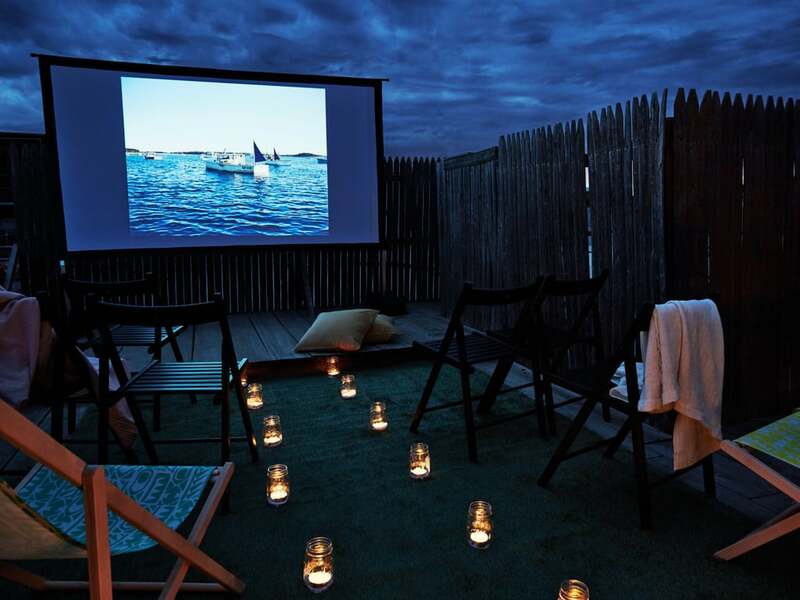 TIP: Utilize lawn chairs or bring indoor chairs outside and set them up in theater-like rows. (Don't have enough? Tell guests to BYO beach chairs!) Get strings of lights or set up candles to mark your path as if you were in a real theater. Creating the right atmosphere requires a little prep work, so get creative or enlist a few friends or neighbors for help. First, you'll want to roll out the red carpet. Line the driveway with lanterns, tiki torches, or an actual red carpet to greet your guests. You'll also need quality sound for optimal viewing, so if you don't have a sound system that can move outside, borrow one from your neighbors. Next, get yourself a projector and screen to suit your movie space, or you can project the movie right onto the side of your house or any blank wall. And remember to supply your guests with a few creature comforts they'll love. Since even Summer nights can get chilly, put together a blanket station filled with throws and pillows so guests can keep cozy. 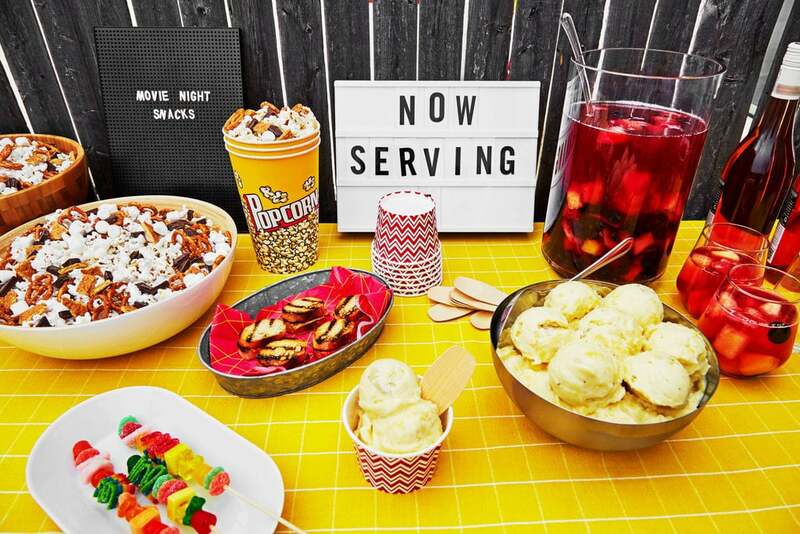 TIP: Keep the theme of your event cohesive with small movie-night decor touches like a marquee on your snack stand. TIP: Provide your guests with snack trays! They're more fun and convenient than plates, and they're a great way to add to the moviegoing vibe. Take your snack bar to an unexpected place with updated twists on classic snacks. For the sweet tooth, offer up s'mores popcorn (mix chocolate, pretzels, graham crackers, and marshmallows right into your popcorn bag). Instead of prepackaged candy, customize playful candy kebabs that are a delight to eat. For something more filling, grilled cheese sliders are a guaranteed crowd-pleaser. Mimic the excitement of arriving at the movie theater by including an enticing marquee board at your drink bar that says "Now Serving." One of the easiest adult party drinks to mix up ahead of time has to be this Sunny Sangria. The surprising twist? Add frozen fruit, which keeps your sangria ice cold and extra refreshing. Combine 2 cups each of frozen DOLE strawberries, frozen DOLE blueberries, and frozen DOLE pineapple chunks together with 4 oz. grapefruit schnapps, 3 oz. 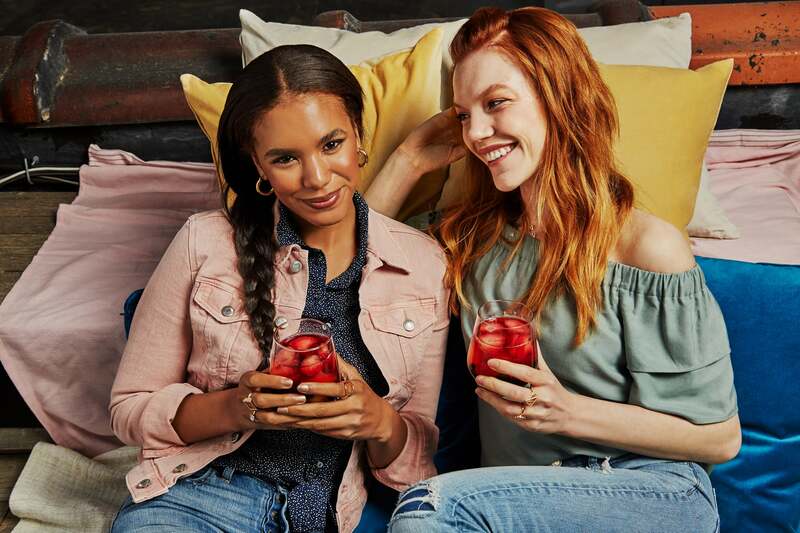 brandy, and 1 bottle rosé for a tasty cocktail to sip on all night long. TIP: For hot Summer nights, treat your guests to a cool treat that is an unexpected twist on the classic. 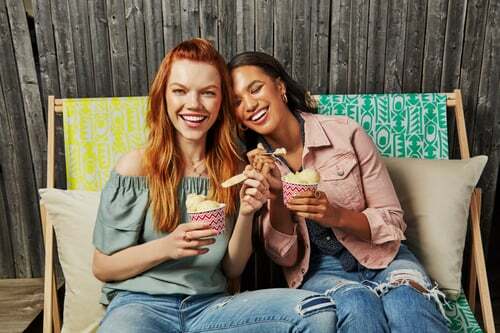 A Pineapple Frozen Treat will treat their taste buds to a much more exciting flavor combo. 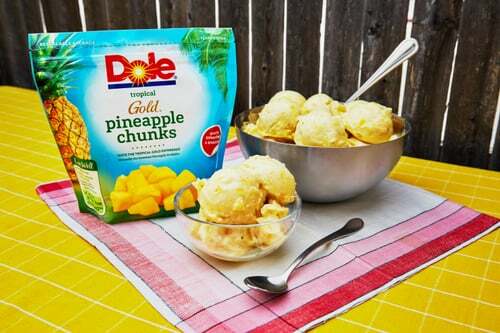 Pineapple Frozen Treat using DOLE Frozen Fruit that everyone will love. Simply combine 2 cups frozen DOLE pineapple chunks, a sliced frozen banana, 1/4 cup coconut milk, 1 tablespoon agave nectar, and unsweetened flaked coconut for garnish. Blend until smooth, and enjoy its soft-serve-like texture as is, or freeze for at least 4 hours for a firmer texture. Either way, the result is unexpectedly creamy! TIP: Ensure the night is worth remembering — and capturing on film — with a custom photo booth backdrop made of reams of tickets and props that fit the movie themes. 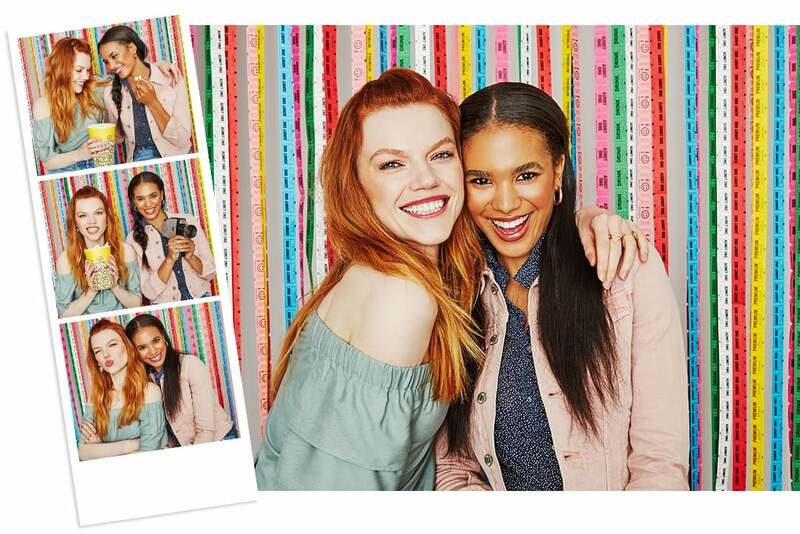 Create a custom photo booth worthy of your movie night using reams of tickets. It's easy and cheap to make, and it's the perfect way to capture the excitement of the evening. A little creative DIY effort yields a hashtag-worthy backdrop so you can all look back on this memorable evening while eagerly awaiting next year's unexpected event.